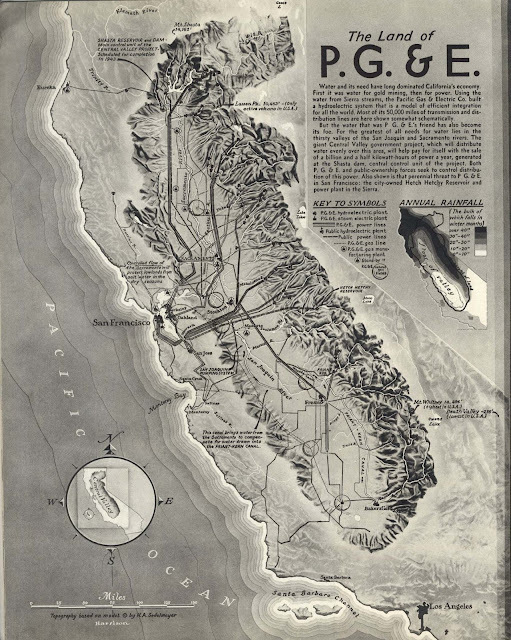 A pre-computer age infographic / map by Richard Edes Harrison created for Fortune magazine 1939. Richard Edes Harrison (1901-1994) was a cartographer active in the 1940s. Harrison studied Zoology and Chemistry at Yale but graduated with architecture, he pursued scientific illustration in New York and published his first map for $25 in 1932 in Time Magazine.